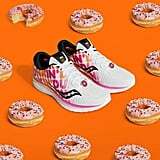 To celebrate the Boston Marathon, Dunkin' Donuts and Saucony have teamed up for the second year in a row to bring you this adorable doughnut-designed running sneaker. 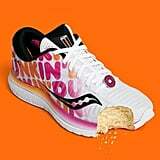 Check out the Saucony x Dunkin' Kinvara 10 ($120). 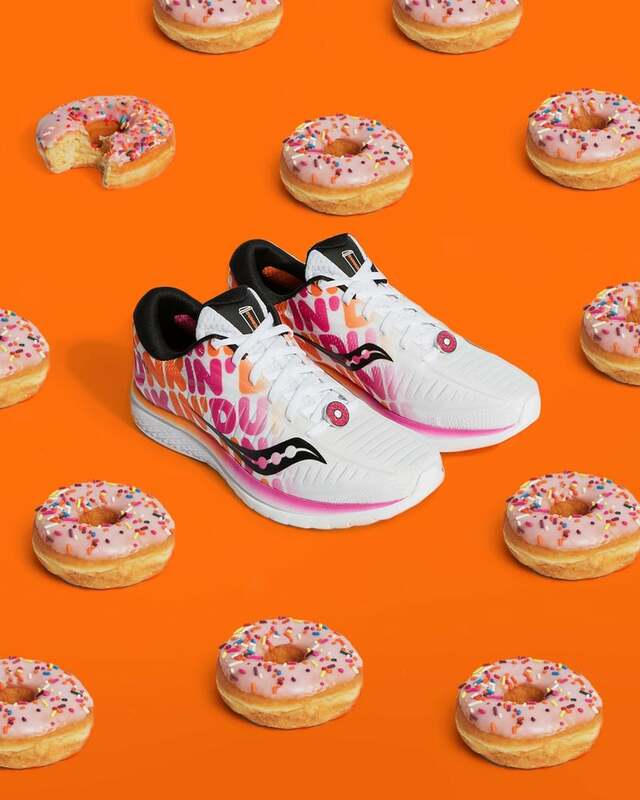 These two famous brands are collaborating to honor the amazing relationship between running, coffee, and doughnuts — now America can literally run on Dunkin' (inspired sneakers)! 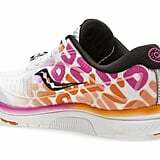 The Kinvara 10 is lightweight and offers supportive cushioning for those long runs you'll take during marathon training. 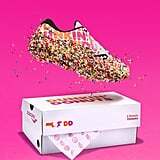 The engineered mesh is comfortable and breathable, and your feet will appreciate the contoured footbed as you log all those miles. 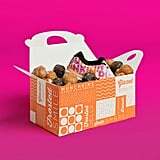 But what we really love is this adorable Dunkin' Donuts design! Keep reading to learn more about the sneaker's features.